Our volunteer Skippers, Mates, Watch Officers and Watch Leaders (our Afterguard) are the backbone of the Rona Sailing Project. We are always keen to hear from anyone with a real interest in the welfare of young people, and with yacht sailing experience, who wishes to join us. Find out more in our FAQs or contact us here. 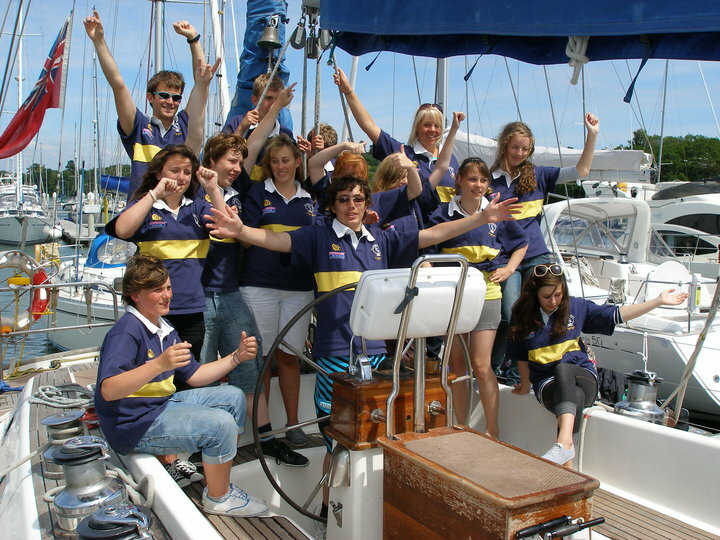 Currently over 60% of our 60 volunteer Skippers started as Trainees on our yachts. There are two routes to become a member of the Afterguard. At the end of a Sail Training Voyage, the Skipper can put forward Trainees who gain an Amory Award, and who have leadership potential, for our Watch Leader training process. Once they have completed their training, undergone a DBS check and gained their ASTO Safeguarding certificate, they can become Watch Leaders in the Project. From here, if they want to continue sailing with us and give something back to society, they can become Watch Officers then Mates and ultimately Skippers. The other route to becoming a volunteer is for you to sail with us as a Supernumerary on a week-long, standard Sail Training Voyage (STV). Before sailing in the supernumerary role, you need to fill in an application form. Once the application is approved, you will need to be DBS (Disclosure and Barring service) cleared and have completed the ASTO online safeguarding course, or equivalent, before being permitted to sail. Based on a recommendation from your Skipper, you can then be promoted to Watch Officer, subject to qualifications (minimum Day Skipper Practical ) and approval by our Afterguard Panel, a committee of Project Skippers and others). Subsequently you can progress to Mate (RYA Yachtmaster Coastal with Commercial Endorsement) and then Skipper (RYA Yachtmaster Offshore with Commercial Endorsement). If you would like to follow the supernumerary route you will need to complete the Volunteer Application Form.